Instead of doing painful work on machining my metal motor mount last year, I decided to use 3D printed parts this year after I read Peter Harrison’s post last year. I used Autocad 2012 designed motor mount, sensor mount, and wheels, printed at shapeways.com with high precision plastic option. It took me more than 2 weeks to receive it. I will find a chance to test if the gear and shaft fit my motor mount later this week. 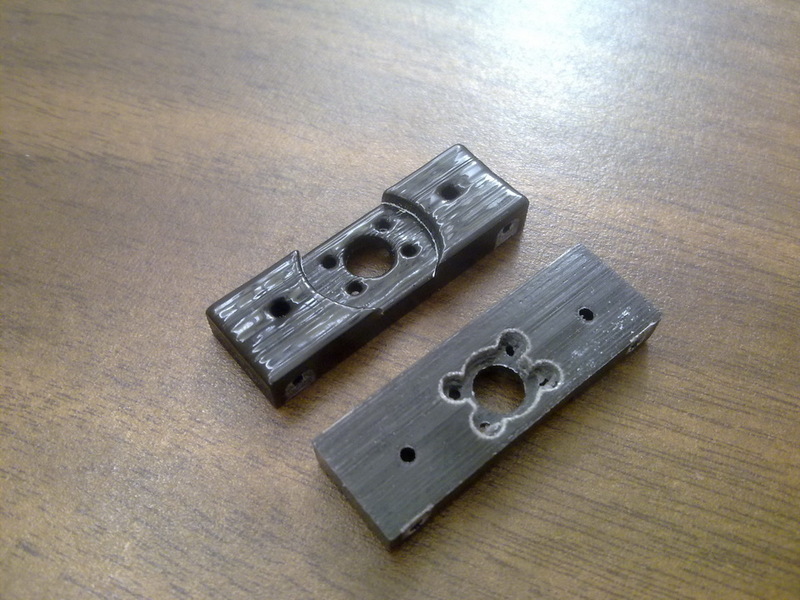 This entry was posted in Mechanical, Micromouse Construction by Green. Bookmark the permalink. Can you share your 3D files? 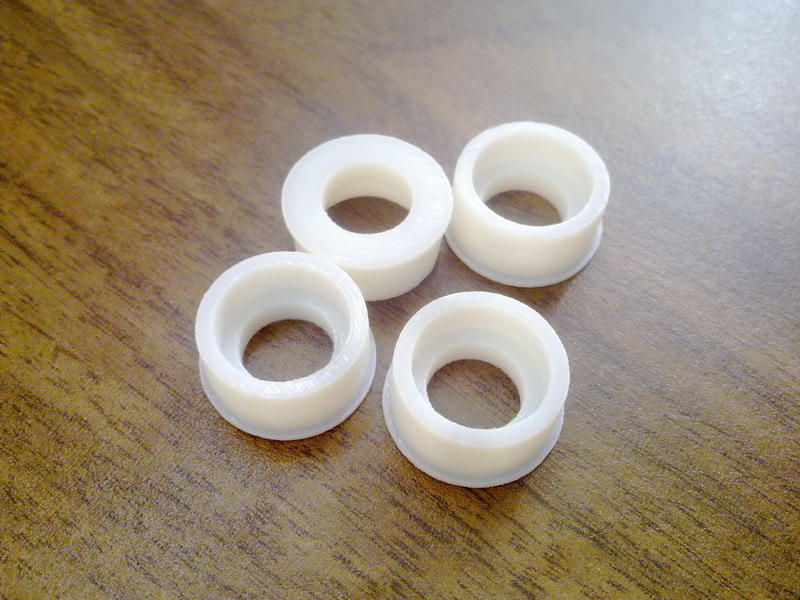 I will also want to create sensor mount from shapeways.com… What’s the cost of each part? P.S: I found LED mount in large on-line shop (in my country), but unfortunately it’s only for 2x5mm diodes, or 1x3mm diode or 1x5mm, but no one for 3mm+5mm hole that I (and you) need. 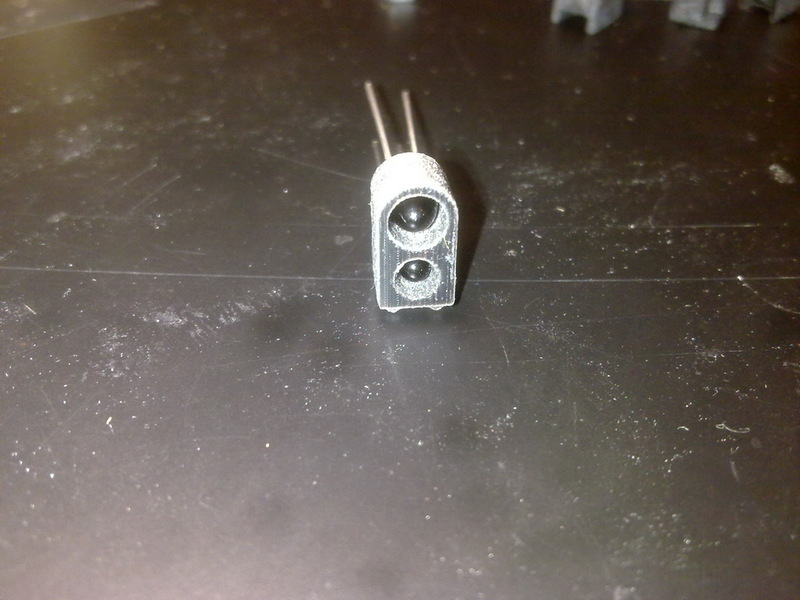 I designed my sensor mount only for specific emitter and receiver, otherwise they won’t really fit to the hole. the LED holder you listed is only for LED aligning, it won’t help for emitter and receiver shielding. There are easy way to make a sensor mount by drilling holes on a rectangular plastic block. I don’t mind to share my sensor mount, but I put 2 nobs on the bottom of mount and also reserved 2 holes on PCB with same size of nobs for sensor amount aligning. so I made eagle library for sensor mount including the position of holes for nobs. Kinda complicated to explain. If you know how to use AUTOcad, it won’t be hard at all for you to design such as simply mount, you only need region,extrude, subtract command/action in autocad to finish up this sensor mount. 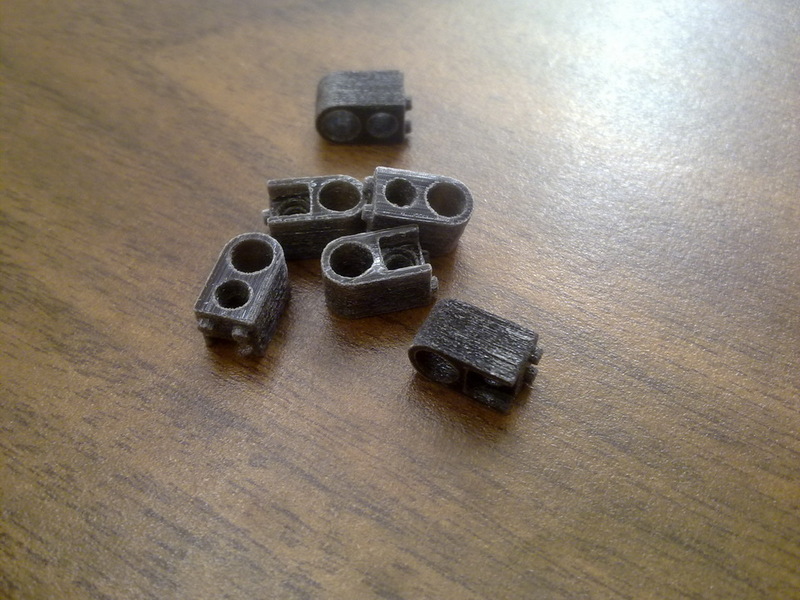 Each sensor cost me $3.45 for printing since I chose detailed material other than cheapest strong flex plastic. The size are different even between all 5mm or 3mm diode, you need to read datasheet to design one perfectly fit the sensor and receiver. That’s why I designed this one only for SFH4545 and TEFT4300 combo sensor pair.